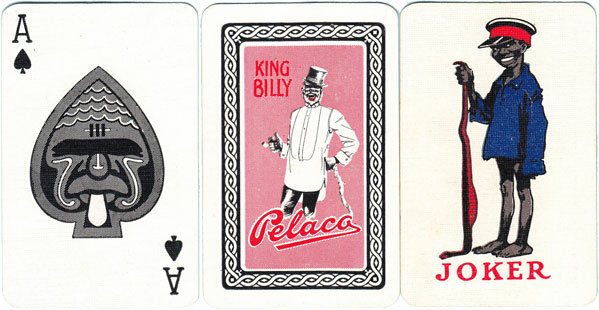 Above: ‘Pelaco’ playing cards with Aboriginal characters on the courts, manufactured by Sands & McDougall, Australia, c.1930. CREDITS: All images courtesy Jan Walls. Mulga Fred was 5 ft 10 ins (178 cm) tall, full-bearded and softly spoken; in later life he walked with a limp, a legacy of rodeo work. His tombstone is engraved with a stockwhip and boomerang, symbols of the two cultures he mastered. A design application appears to have been lodged at the National Archives dated July 1933. 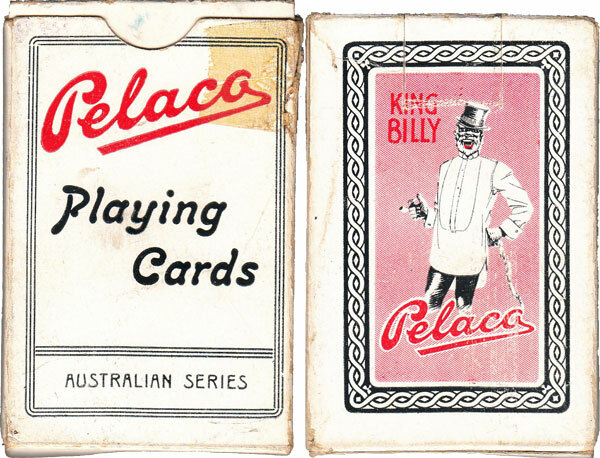 The names on the four Kings are unclear, but may be Billy Kinnear, Frederick Charles Petty and Percy Joseph Brown of Prahran Vic whose names appear on the application.